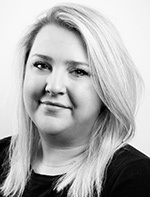 Birmingham-based Brogan & Partners has promoted Deb Wood to associate creative director and named Katie Rehrauer and Sarah Komar, as new associates. Wood, who has worked for Brogan for nearly five years, most recently was an art director. 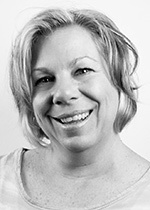 Previously, she worked as an art director for Ann Arbor based Positive ID. Wood of Ann Arbor earned her Bachelor of Arts in graphic design from Central Michigan University. 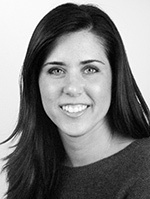 Rehrauer, account director, joined Brogan three years ago from Advantage Waypoint in Farmington Hills. At Brogan, she leads accounts for health care, government, and nonprofit clients. Rehrauer, of Clarkston, works with clients to raise money, motivate healthy behaviors and enroll in programs. She has a Bachelor of Arts degree in advertising from Michigan State University. As art director, Komar will work on various accounts including health care, governmental, specialty retail, and nonprofit. Her design work spans across mediums from video to collateral and digital to social media. Komar, of Ypsilanti, earned associate degrees in photography and graphic design from Washtenaw Community College.